This past Friday was the first day of autumn! Bring on the velvet, and layers, and pumpkin flavored every-bloody-thing! My friend brought me a lovely fruit in honor of the season which truly suits the upcoming spooky time of year. 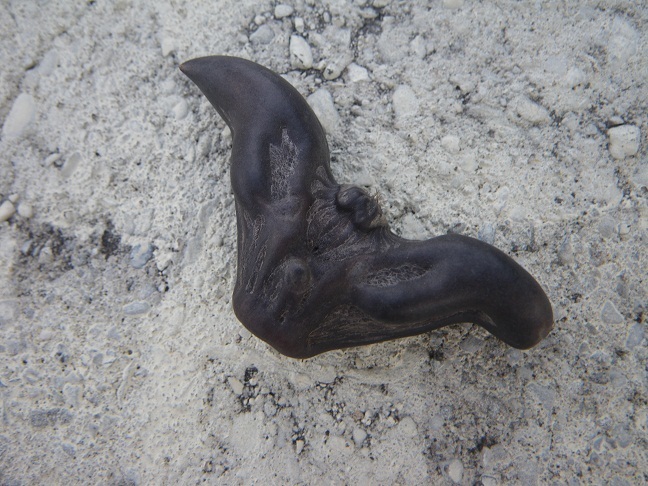 A water caltrop! Yes, it's a real fruit. I had never seen one before and my they are an ugly fruit! It’s hard as a stone and looks completely inedible. Like a little horned devil or a bat! This Halloweenie fruit was cultivated in ancient China, and apparently has a white starchy seed inside. Though I am not going to eat this one. 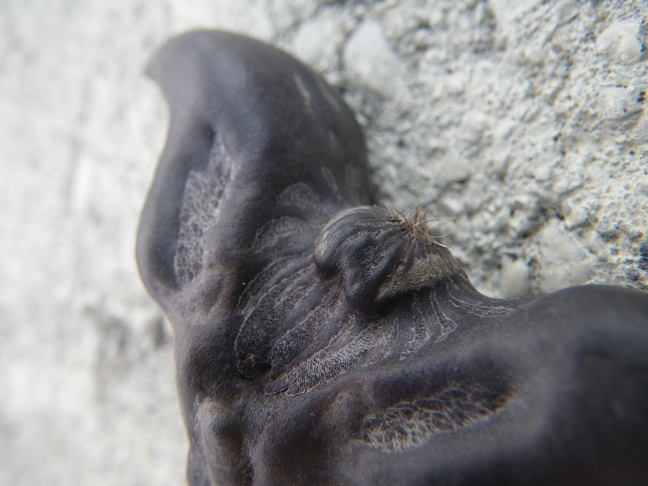 Have you ever eaten a water caltrop? Have you seen these fruits before? 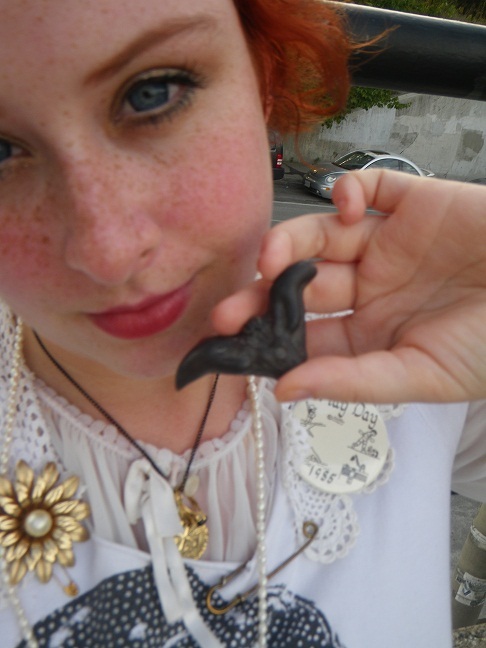 I kind of want to turn it into a pendant and wear it around. Bad idea? Oh wow, I’ve never seen anything like that before. It’s kind of neat though, lol. I was amazed! It does not look edible. I want to try and get more of them so I can try cooking them, they are said to taste like oysters (which sounds disgusting) but I am super curious now!